That’s right, I’m a gamer who happens to be writing a blog. That may sound odd to you, but don’t worry the strange look on your face will soon vanish when I explain to you that I’m also a writer and that they are both my big hobbies. Well, those and collecting comic books, but that’s another subject for another time…. I’ve been an avid gamer since I was about 16 years old. Maybe younger, but I can’t remember. Anyway, my first remembered foray in to the gaming world was with Star Craft, which was released before the year 2000 (1998 I believe, maybe 97). And when I say ‘foray’ I mean, I was sucked in hook line and sinker. It was a great game, still is, and proceeded to take alot of my time away by playing match after match until I atleast racked up 600 games worth. Half mostly being wins and half being losses with some ties/dropped connections or what have you. While I stopped playing the game with such ferocity for some reason I can’t remember (likely got busy or distracted by other games. Or girls. OR both.) 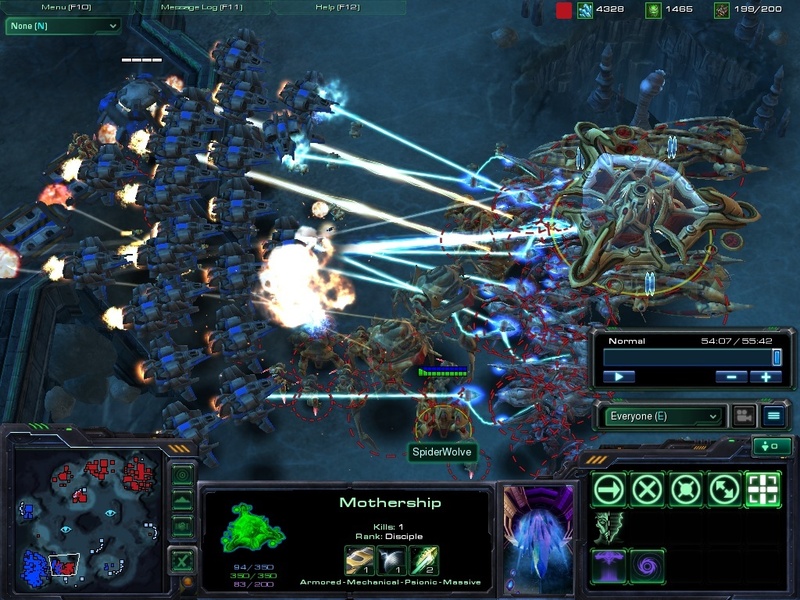 I still always came back to play it because of it’s uniqueness and great balance of play with the three races: Terran (human), Zerg, and Protoss. In fact I’ve bought atleast 5 new copies of the game as time went on because I kept misplacing the copies I had before due to moving or some weird occurance. It was one of the games I couldn’t leave and loved to play because I had developed some marginal skill at being decent at it. The only other game that has kept my attention has been #mce_temp_url# and that’s a browser based game for a later possible discussion. While I loved the original Star Craft I never really went back to playing it full time because Blizzard had seemed to lose interest in adding to the universe of the game I loved so much with their seemingly continous addditions to Warcraft and then their World of War Craft MMO…and not to mention Diablo I and II it soon became apparent that us Star Craft fans were being ignored. Then word of Star Craft II hit the airwaves (or webesphere) and all any of us could muster to say in our elated shock was: Hell, it’s about time. Actually, even Blizzard said it through their announcement trailer. (Look up Star Craft II announcement trailer on YouTube). And then we waited for an excruciating amount of time for the game to be released. I know we waited for 12 years for this sequal, what’s a little longer right? Well it’s worse when the game has officially been announced. Because before we were operating off of the statement of ‘soon’ as if it was actually any indication as to whenever that was going to be (it was almost in the chest with Duke Nukem: Forever which will probably never come out, not like I care). And I was pretty confident that they would actually release this game unlike Ghost which never saw the light of day because had Blizzard decided to go back on their announcement for SC II being released I think we’d have to be worried about the country of South Korea invading just to insure that the game was finished. And wouldn’t that have been weird? Anyway, the game finally came out and guess what? While I did buy the thing, I had to wait to really play it! I had to go out to sea for a month and it wasn’t very conducive to playing Star Craft 2! And now that I have some time off I’ve been playing this game and astonished how difficult it is but yet still fun; they didn’t fix anything from the last game they just added more balance and allowed for better offensive/improve defensive play (namely for the poor Terrans). So…in conclusion…if you haven’t played this game, play it! It’s pretty fun, and may inspire you to write some decent fan fiction about the game. I know the first game did for me! Alas…that story was eaten by an internet worm. This entry was posted in Games, Gaming, PC Games and tagged Games, Gaming, PC Games, Star Craft 2. Bookmark the permalink.